NO ACCIDENTS! LOADED! LIKE NEW! HONDA DEPENDABILITY! NO ACCIDENTS!! 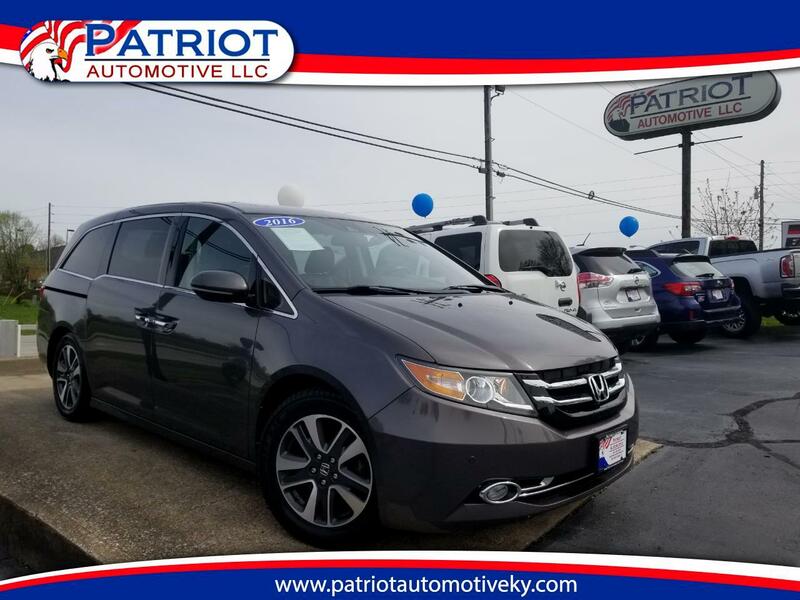 2016 Honda Odyssey Touring. This Odyssey Has Leather Seats, Power Seats, Memory Seats, Heated Seats, Lumbar, Power Windows, Power Locks, & Power Mirrors. It Is Equipped With A AM/FM/CD Player, Satellite Radio, Aux Audio Jacks, Hands Free Wireless, Bluetooth, Navigation, Park Assist, Lane Departure Warning, Back Up Camera, Power Side Doors, Power Rear Door, DVD/TV, & Rear Defrost/Wiper. HONDA DEPENDABILITY!! THIS ODYSSEY IS LIKE NEW!! PRICED AT ONLY $28976!! !